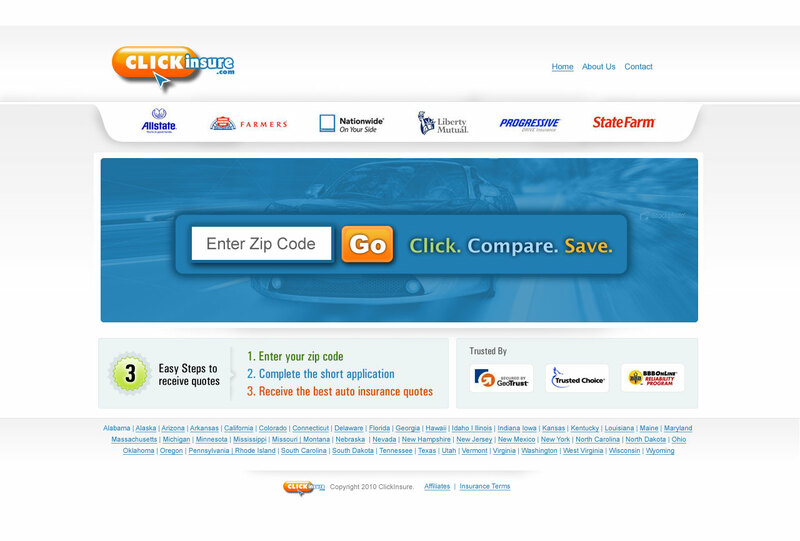 CLICKinsure’s service is an easy and free way for consumers to receive multiple auto insurance quotes from leading providers. CLICKinsure will allow consumers to fill out one application and receive quotes from multiple companies, allowing them to compare rates and save time and money in the auto insurance purchase process. 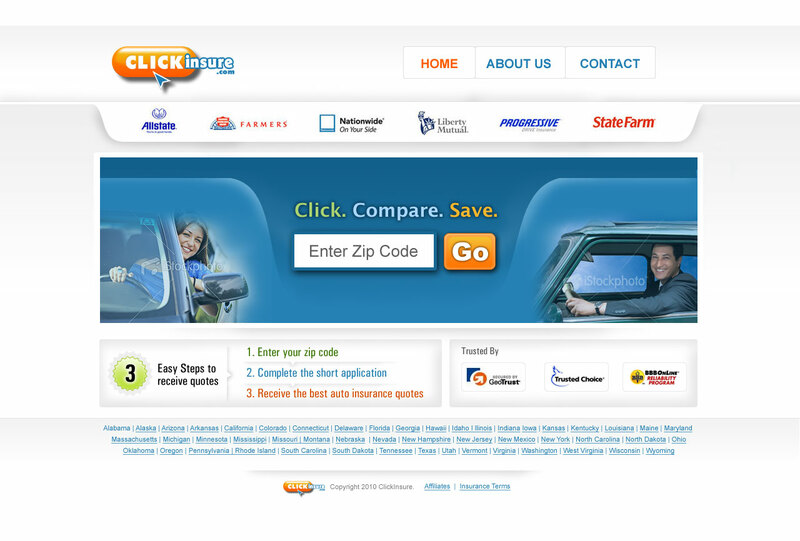 The Home Page of this site will have the following key purposes, Communicate the CLICKinsure brand; Make it easy and appealing for consumers to starting an auto insurance quote application. This is a 99design.com submission.